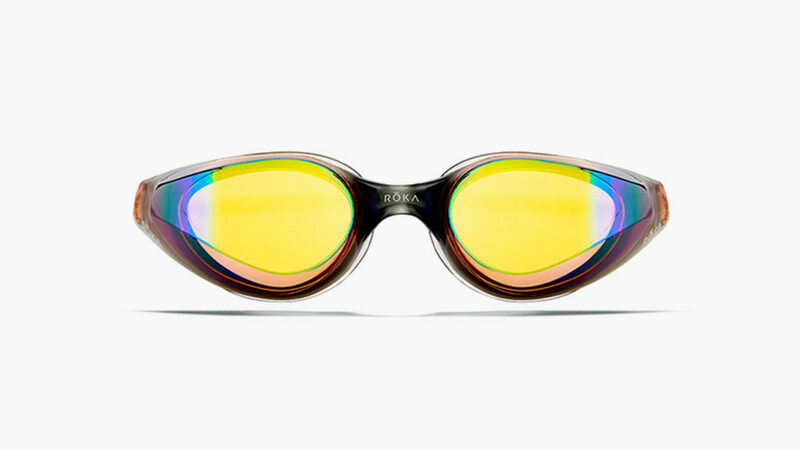 This optical-grade high-performance goggle maximizes visibility and stays out of your way. Sharp vision matters to every athlete, especially swimmers who rely on their eyes to stay fast and safe in the water. 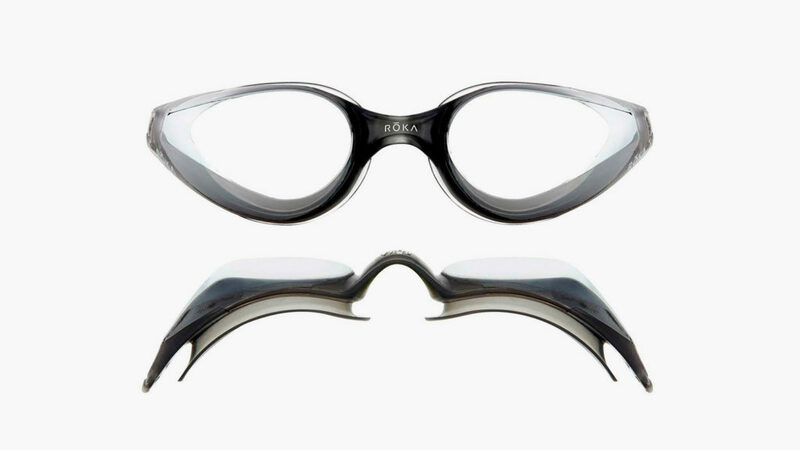 Because open-water swimming means open-water sighting – and straight lines make all the difference in pools too – the ROKA R1 Goggle is designed to maximize visibility as much as possible. Part optical-grade eyewear and part high-performance sports gear, the R1 opens up your field of vision and stays in place with a low-pressure seal and buttery silicone gasket. 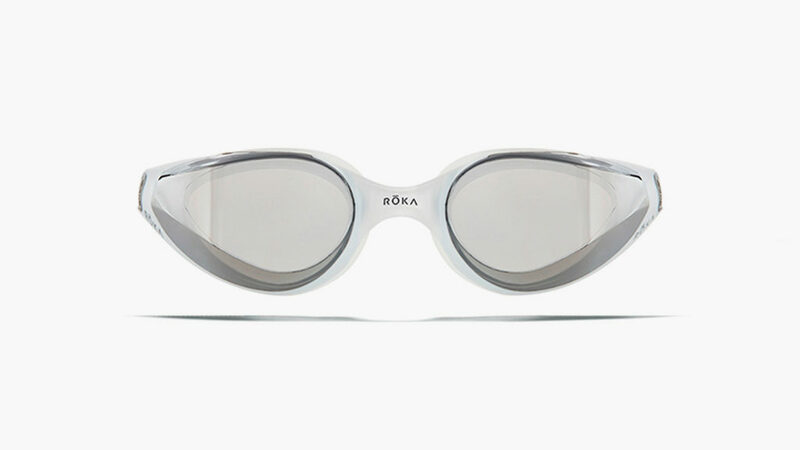 RAPIDSIGHT™ is ROKA’s patent-pending, proprietary lens technology, and it outshines other goggles by sharpening vision and staying out of the way. 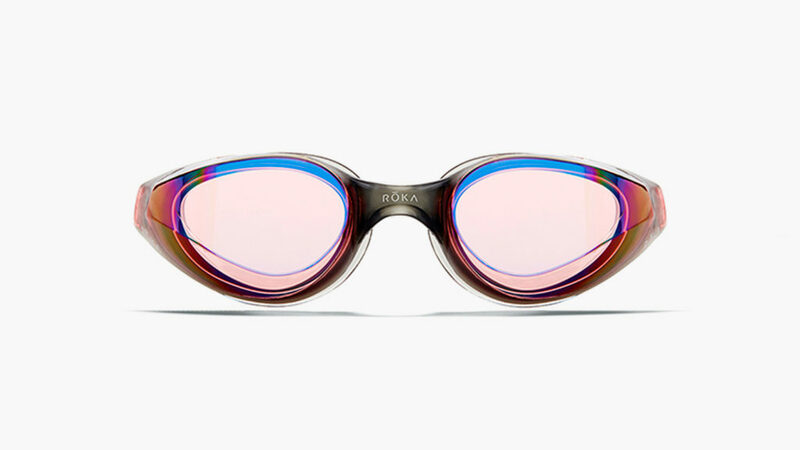 A slight retroscopic tilt expands your forward field of view in the water, and an anti-fog, water-resistant coating prevents any fogging or leaking. Available in a dozen colors (including mirrored and translucent option), even the tint is designed to deliver clarity and handle every lighting condition, from darkness to direct sunlight.